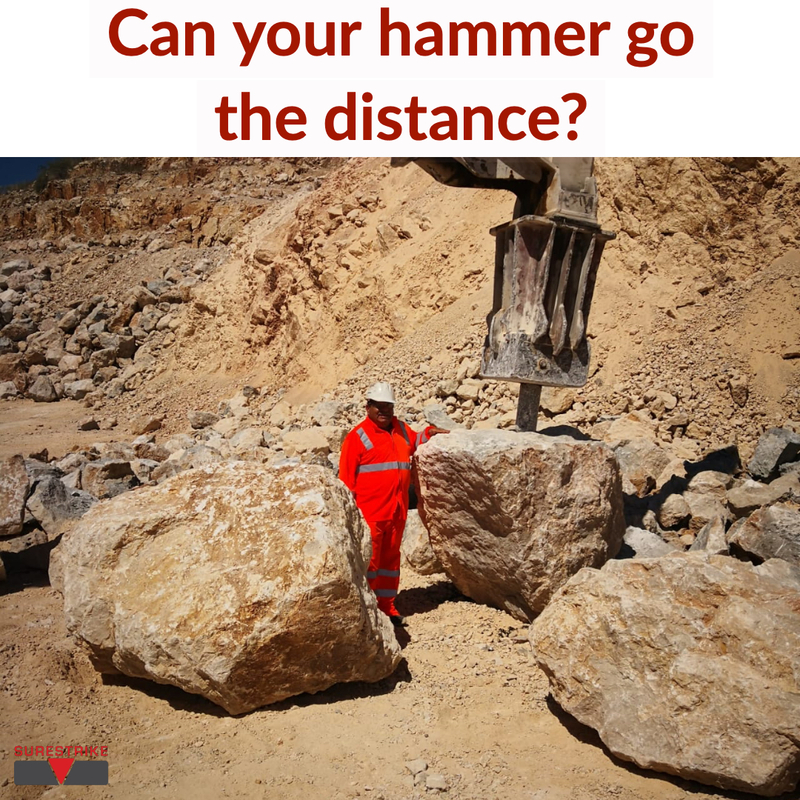 Can your hammer go the distance? – Surestrike International, Inc. This Surestrike International impact hammer manufactured in 1997 has been running in this tough Central American application and still keeps taking large boulders down to the manageable size needed for this large multi-national company. ← What do you consider tough?